When the Tooth Fairy was menaced in her own castle by Count Dracula, we did nothing, because our baby teeth were all already gone. 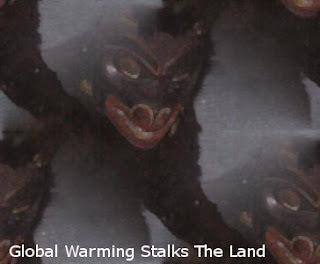 When Bride of Frankenstein and the Wolfman tracked the Easter Bunny to his lair, we did nothing, because his sweet treats made us feel ill.
Now, Santa Claus is threatened by Global Warming Demons. Will we finally act, this time?